If you've ever gotten gel polish put on, or put it on yourself, then you've likely also gotten it removed. Removal requires at least 10 pieces of foil and 5 cotton balls, plus a boat-load of acetone. Then, you have to sit there for ten minutes as the acetone works its way through the gel until it can be safely flaked off of the nail. It's probably the most wasteful 10 minutes of your life (unless your nail tech happens to have a stylus available for you to use on your iPad while you wait). You're literally trapped in the foil, which has the tendency to slip off if you fidget (which is inevitable). 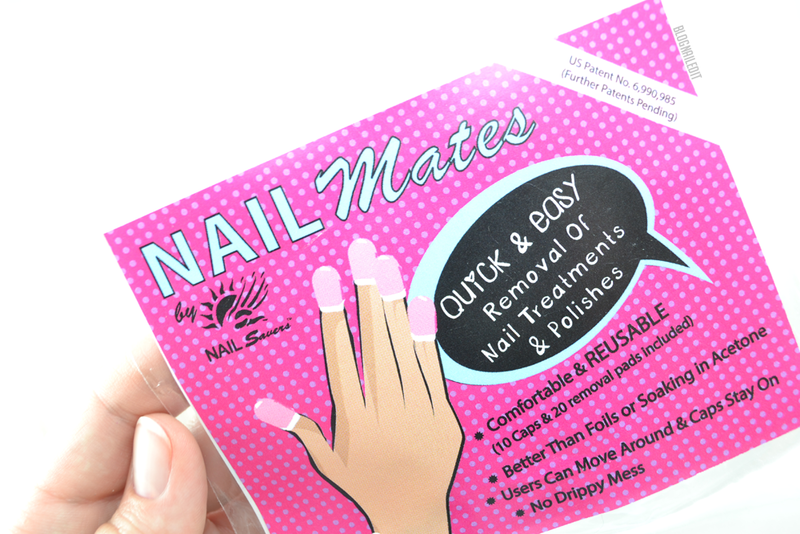 NAILMates has come up with a solution to this that I've tested out myself, and love for at-home use. 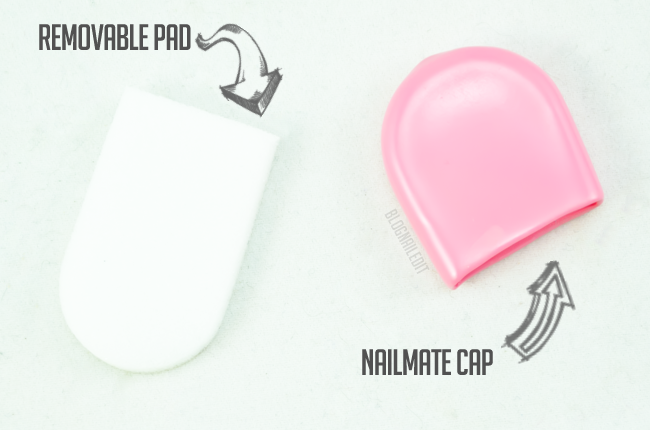 NAILMates are small, latex-free caps that, when paired with their foam counterparts, are extremely effective at removing gel polish. 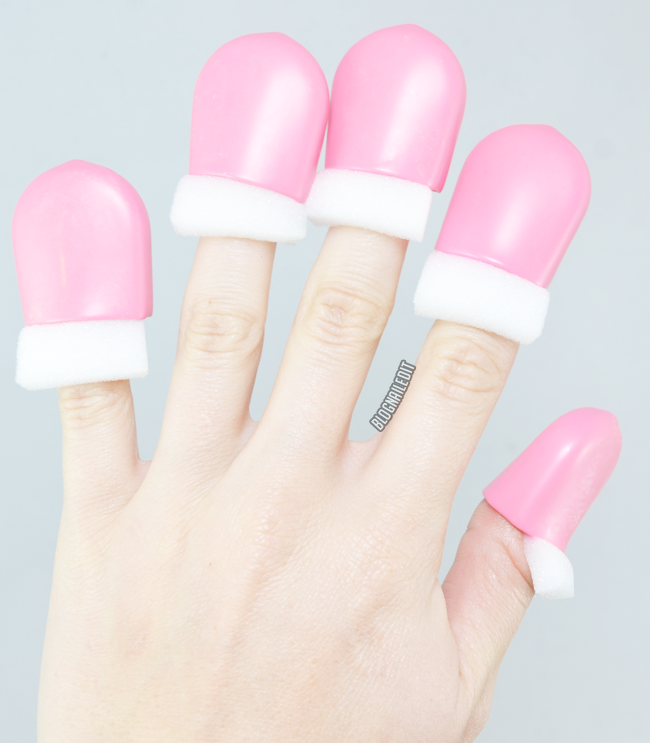 The caps (the actual NAILMates) look like tiny whoopee cushions. One end is open and the other is closed. The pieces of foam that are inserted into the caps match the rounded shape of the caps, and are dipped in a small amount of acetone before being placed into the cap. The cap and foam combo not only stay on your fingers much better than foil, they also drip less, making the whole process super simple. And you don't need much acetone for it all to work. I just dipped the end of the pad into the cap of my acetone container. If you do too much, it'll drip, but they are clear about not using too much in the instructions. I also like that you can wash and clean the pads for re-use at home, until the foam starts to break down. After one use, I didn't see any breakdown, which is good news for the next gel mani I try! If you'd like to try this in a salon setting, the NAILMate caps are also sanitizable. Would you try these at home? Do you have any questions about them? Let me know what you think! These products were sent to me by NAILMates. The reviews are based entirely on my experience with the products and were in no way influenced by anyone. I like the looks of these! They look so much better than those hard plastic bubbles that were pink and clear that sell on eBay/Born Pretty that were for some unknown reason NOT acetone proof! >_< I imagine that the foamy pads would hold acetone really well too and "grab" the melted gel nicely too! Not to mention, I was expecting the refills to be pricey but they really are reasonable in cost. These are a dupe of the Julep ones. I was hoping someone would come out with some, since I'm not a maven. They look interesting. I'm using rubber finger tips (the stationary type) to replace the foil. It was a huge improvement in the ability to do things while waiting, but the different sizes are not great. I think these will be even better. Thanks for sharing! These are so gosh darn cute! And affordable, which is fantastic. I might have to pick a set up as part of a Mother's Day gift since I'm considering getting her a gel-polish set up. These are the perfect addition! I saw a review of these a few weeks ago and ever since then I've been wanting to try them out. They are such a great idea! They seem much easier to work with too. No joke I read your review and just went and bought a set. $14 is a small price to pay if it means I no longer have to cut foil. Thanks for reviewing this! !